Millions of Americans are currently living their lives with a psychiatric condition, a chronic illness or cognitive disability. These conditions all have one thing in common; they are conditions that are not made visually obvious as many disabilities often are. In many communities of persons with disabilities, these conditions are referred to as “hidden” or “invisible”. It is generally visually obvious to an outsider or stranger when a person is physically handicapped, blind, deaf or in other ways disabked. They may be reliant on a wheelchair, a service dog, a cane, sign language or other forms of assistance to help them navigate their daily lives and experiences. When someone has a mental illness or chronic physical illness, they may be struggling and an outsider will likely have no idea because of the invisible nature of their disability. My ethnographic research focused on students at Michigan State University with a variety of conditions and disabilities that are invisible or hidden. I interviewed a variety of students from all walks of life, various academic disciplines and different disabilities for my research. I chose to interview a wide variety of students to gain many different insights and perspectives. I interviewed students living with varying disabilities and diagnoses including; autism, anxiety, depression, eating disorders, learning disabilities, epilepsy, bipolar disorder, post-traumatic stress disorder, multiple sclerosis, scoliosis and narcolepsy. I aimed to highlight the diversity of experiences of students at MSU, while fighting ableist ideas and reducing stigma surrounding hidden disabilities. 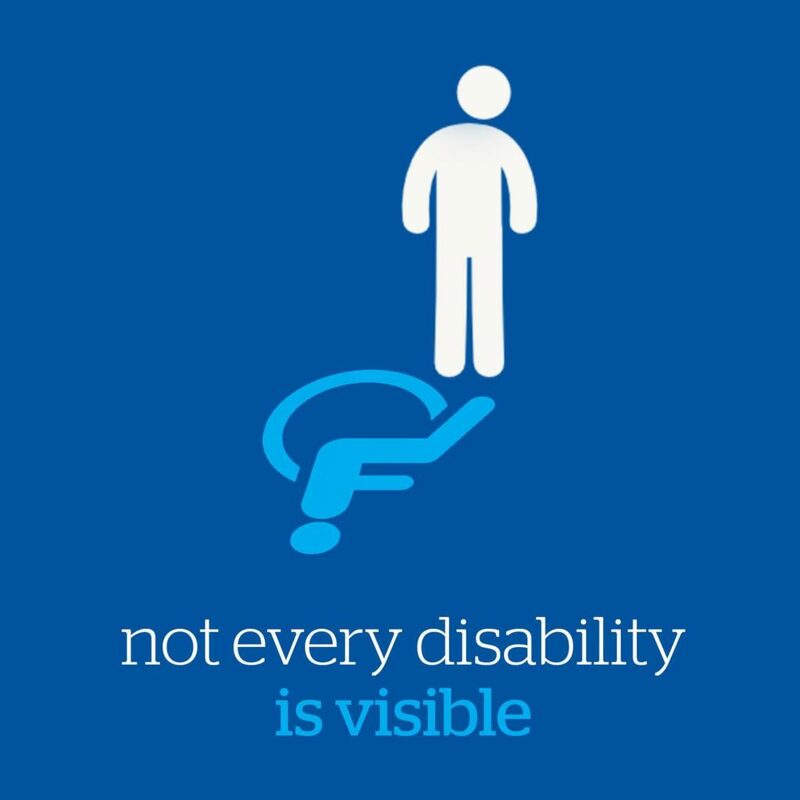 Hidden disabilities are serious, important and very real. I wanted my research to show this. I began my research and quest to find willing participants by contacting the Resource Center for Persons with Disabilities (RCPD) at Michigan State University. I contacted the director of the resource center and several disability specialists via email to see if they may know of students who may be interested in being interviewed for my research. I let the specialists know that I myself am a student with mental health conditions and chronic illness and am also currently registered with the RCPD, but was interested in learning more about life with disabilities at MSU to hopefully empower and inspire students with the same struggles as myself. Understandably, I was mostly met with confusion and hesitation. I assured the specialists that my research would be entirely confidential and that all names would be changed when published if those that I interviewed asked me to do so. Due to the Family Education Rights and Privacy Act (FERPA) of 1974, the manner in which the RCPD functions and operates is incredibly confidential. FERPA allows students over 18 years of age the right to privacy regarding their education records, grades, etc. The RCPD was formed in 1971 to help ensure accessibility for students with disabilities at MSU. The RCPD is currently located in Ernst Bessey Hall. The RCPD helps students with disabilities, health conditions and impairments to be successful at MSU by providing students with advocacy and accommodations. 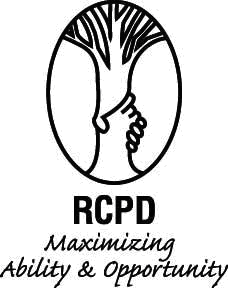 Accommodations are given to students who have been diagnosed with a disability and have registered with the RCPD. Registered students are assigned to a specialist for their disability to meet with and provide them with accommodations. The student and their specialist work together to create a Verified Individual Services and Accommodations (VISA) that states the student’s needs and services that professors are required to provide the student with to help them be successful academically. Examples of common accommodations that students receive are; extended time for tests and exams, ability to record lectures, extended time for assignments and ability to periodically miss class without penalty. Despite many efforts and initiatives in recent years to reduce stigma surrounding mental health and psychiatric illnesses, the topic is still something that makes many people uncomfortable and is still very misunderstood. This stigma was revealed to me numerous times when interviewing students. So many students felt nervous or ashamed of themselves for their conditions, conditions that are beyond their control. I asked them to explain for me if and how they feel stigmatized because of their mental health conditions. Many of the students said they felt very stigmatized, but their reasons for feeling stigmatized and the ways in which they felt stigmatized differed greatly on a personal basis. After learning more about the stigma that so many students living with mental health conditions so often face, I wanted to learn more about the students’ stories and experiences. I sook to understand more about how they life live with psychiatric conditions. I wanted to hear about the nitty gritty. I wanted details. “When I have a panic attack and break down in public. I can’t control it. They used to be really bad and I would legitimately fall onto the ground in a heap and just sob until I couldn’t breathe. Now they are better, but I also stuff a lot of stuff down emotionally so that I don’t let those outbursts happen. Maybe it’s not the healthiest coping mechanism, but it’s what I have chosen to do”, is how she described her panic attacks and the ways in which her disability is visible. Molly eventually had to take a medical leave of absence from the university for a semester to focus on her mental health and recover after being raped. When she left MSU, she didn’t actually know how long her leave of absence would be. Fortunately, Molly returned to MSU after a semester and is graduating in May of 2017 in spite of all of her struggles. Another student named Marie also opened up to me about her struggles and life with PTSD, depression and anxiety. She has lived with anxiety her entire life but wasn’t officially diagnosed until she was in college. “I was struggling with so much on so many levels and I had seen a counselor for about six or seven months prior to that…just because of the struggles I was facing”, she said about first being diagnosed with mental health conditions. I asked Marie about the severity of her anxiety and with eloquence, she explained when she doesn’t feel fair thinking of disability in a hierarchical manner. “I know that I am not physically impaired and I’m privileged for that, and I’m not incapable of a lot of things but in certain moments I am, when it (my anxiety) overtakes. I think that I’m blessed to be able to navigate that experience, but nonetheless I struggle and I typically do it behind closed doors”, she said. After talking with students living with psychiatric conditions and mental illness, I decided to broaden the focus of my research a bit and interview students who have chronic health conditions and illness that were not psychiatric in nature so that I could gain a deeper understanding of what it means to live life with an invisible illness. Prior to my research, I knew quite a bit about mental illnesses, but very little about the multitude of chronic illnesses that impact the human body in different ways. I began by interviewing a female student named Allison about her narcolepsy and cataplexy. Narcolepsy can be described as a sleep disorder in which a person has excessive sleepiness and uncontrollable episodes of falling asleep. Cataplexy can be described as sudden muscle weakness or paralysis. “My narcolepsy feels visible when I collapse on the ground and people stare at me. Or will go from awake to half asleep mid-conversation. It also makes it hard for me to be a reliable person because narcolepsy does what it wants”, she said of describing the times that she feels her narcolepsy is not so invisible. “It’s kinda weird to fall over in the middle of class. I have anxiety about going out and having an attack, especially if people don’t know about my disability”, she remarked. Like Molly, Allison also had to take a medical leave of absence for a semester because of her disability. Allison was finding herself sleeping through both work and class uncontrollably and unintentionally. It began to negatively impact her grades and she was forced to leave the university for a semester to avoid her GPA being impacted by her narcolepsy. The deeper I delved into my research, I became more and more curious about how students perceived their educational experience at Michigan State University. I began to ponder how they may feel about the RCPD, their experiences with professors and the general campus environment of MSU. I wanted to know what they thought the pros and cons of attending a large university were. This aspect of the project was a bit difficult for me because as an MSU student myself, I have my own opinions of the university based on my own experiences. I tried my hardest not to consider my own experiences when interviewing students about theirs. Overwhelmingly, most of the students I interviewed had very positive feelings regarding the RCPD. Adam, a 24 year-old man with autism, feels positively about the resources the RCPD has for students like him. “MSU has incredible resources for people with my disability in the RCPD. They’ve helped me in so many ways and I’ve made a lot of great friendships through it. There are so many different groups of people at MSU that you can easily find someone you can relate to and become friends with”, he said of his firsthand experiences with the RCPD and MSU as a whole. “While being at a large university like Michigan State, you meet a lot of people who have been through difficult things in their life making it easier to realize that I’m not the only person going through some thing difficult”, said Marco, a 21 year-old man studying Advertising in the process of being diagnosed with multiple sclerosis. “I think the big pro (of attending MSU) is the RCPD. Without their help, I would not have been able to be successful when coming back to State”, said Molly, referring to returning to MSU after her medical leave of absence. Despite support services and resources for students with disabilities, attending a large university while living life with a disability can also be incredibly difficult for students. As there are approximately 50,000 students at MSU, there are often not enough specialists, therapists and medical professionals staffed to help all of the students who need assistance and help. Often times, the size of campus and number of students at MSU may intimidate students and make them feel additional stress and feel very overwhelmed. The size of campus in addition to having a disability can make a student’s educational experience incredibly difficult. “Before my first day of classes, I was able to wiggle my way into the counseling center and luckily got matched with a therapist that I connect with and have a really meaningful relationship with. Because there are so many students and not enough therapists and counselors, a lot of students that are struggling don’t have that experience, and the waitlist is so long that they give up on looking for help. You can definitely feel like a tiny fish in a big pond, and I’ve heard lots of stories from peers where it feels like it’s difficult to get the care they need and deserve from providers on campus. I didn’t have that experience, but I definitely know it holds a lot of truth”, said Elizabeth. “Big lectures make it very easy for me to skip class and crowdedness often gives me panic attacks. When I have panic attacks, there’s nowhere to go. Since a lot of people are only at MSU because it’s Big Ten, there’s a lot of pretty triggering ideologies floating around campus”, said Charlotte, a twenty year-old woman studying Microbiology. Upon hearing countless stories about the student’s experiences at MSU and how they feel about themselves and their experiences currently, I asked them about their future. I asked about career goals and what their fears and worries were. I especially wanted to know about how they thought their disability may impact their careers and future employment. What might their lives be like after graduation? Does their disability make it difficult for them to find a job? Will they communicate with future employers about their needs? What are their legal rights regarding employment? How will they advocate for themselves in the future? Will they need assistance in their pursuit of a career? Will they face discrimination? What will the future hold for these students? “I can’t drive a car because of my narcolepsy so I need to live in a place with good public transportation”, said Allison. “I already know having Asperger’s has gotten in the way of me searching for or finding employment. I’m super super bad at job interviews”, said Adam who is graduating in May 2017 with a degree in Linguistics and moving to Spain to teach English upon graduation. “My doctors don’t know how severe my multiple sclerosis is yet, but I just hope employers don’t look past me in the future for having a disability”, said Marco. “I’m working on myself now to hopefully prevent any major impact when I’m in the professional context, but I imagine that there are some days that will be harder than others. It wouldn’t surprise me if I feel drained and burnt out a little easier than others because of my illnesses”, said Elizabeth.